“Design Research Society’s 2014 conference invites you to engage in discussions and debates on the future directions of design and design research. 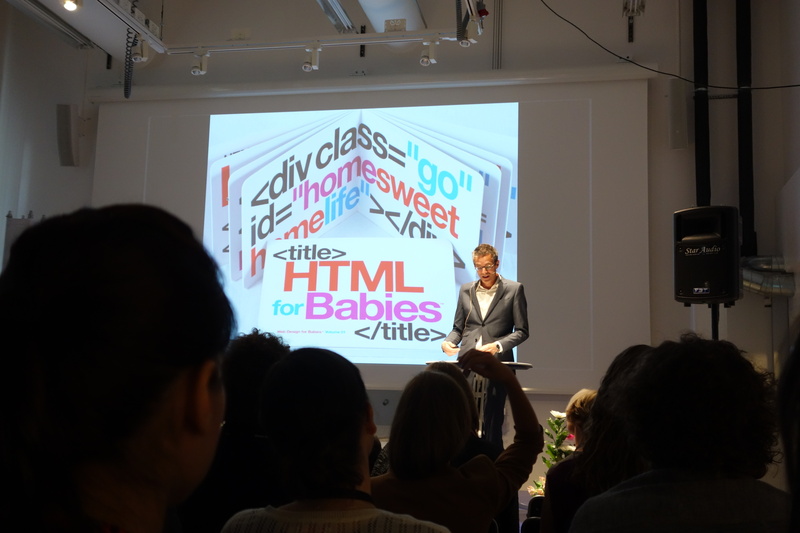 We welcome you to join us in Umeå, Sweden, June 16-19.” Strate Research went to this conference to find out new topics in design research and inspiration. 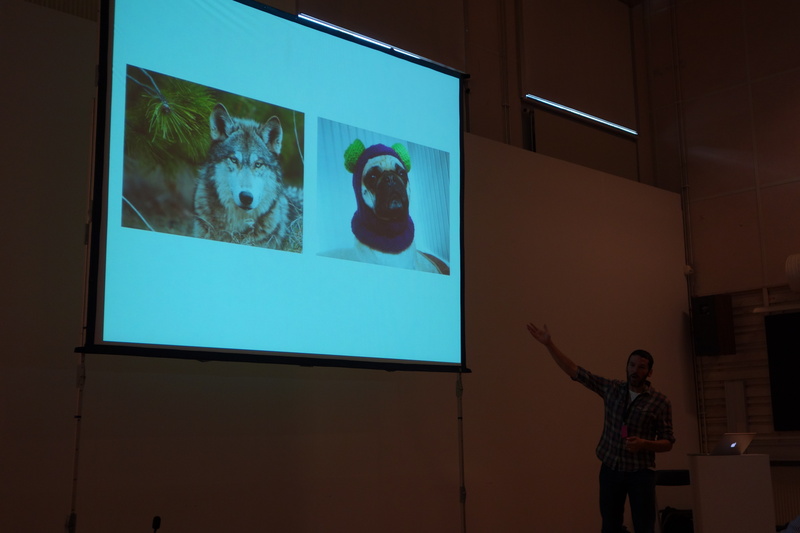 Here are several ideas and presentations that we brought back in France. 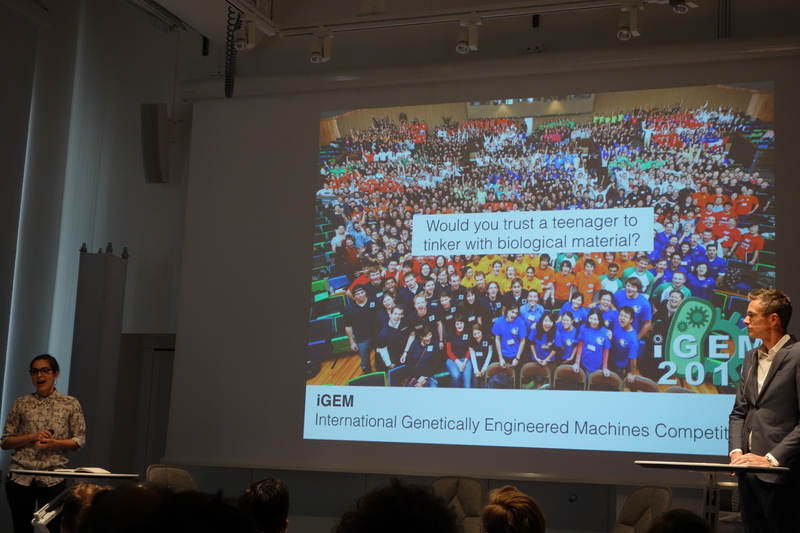 The conference started with a debate on biohacking: is the audience pro or against the motion: “Genetic material should be open source and available to ‘hackers’ “. The majority of the people voted against however Christina Agapakis who is a synthetic biologist, artist, and writer debated for this motion. She showed the importance of letting researchers dig into this subject, if not the oil companies and industries are going to take over and build biosynthetic systems. Jamer Hunt debated against this motion. 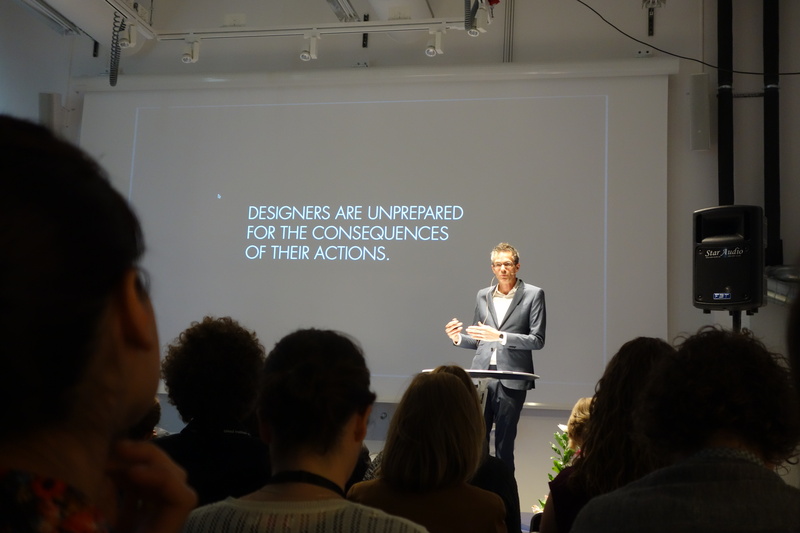 In a provocative presentation he showed that sometimes design could be extension, designers are unprepared for the consequences of their actions. He showed how design thinking method is used by american US army. > Water, please! Clean? not so sure ! 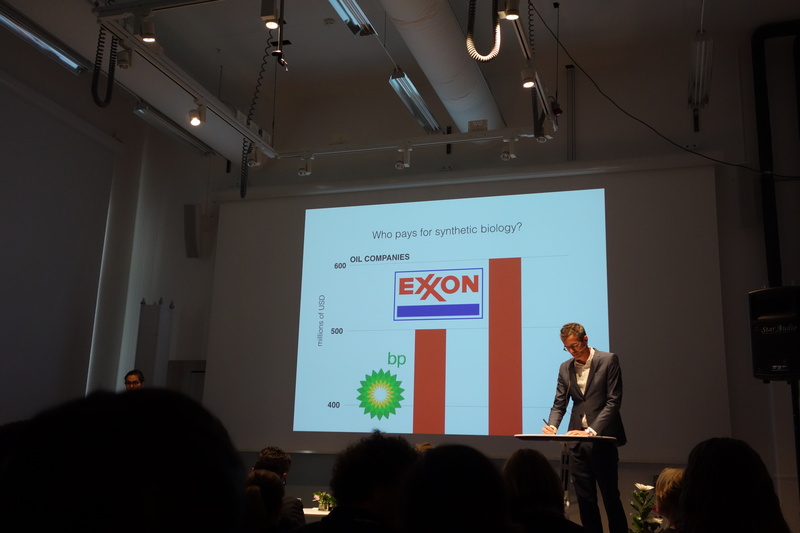 Conclusion of the 1st debate: biological materials but before educational structures. Maybe not everybody could do this and we should create licenses, institutions and structures to regulate. 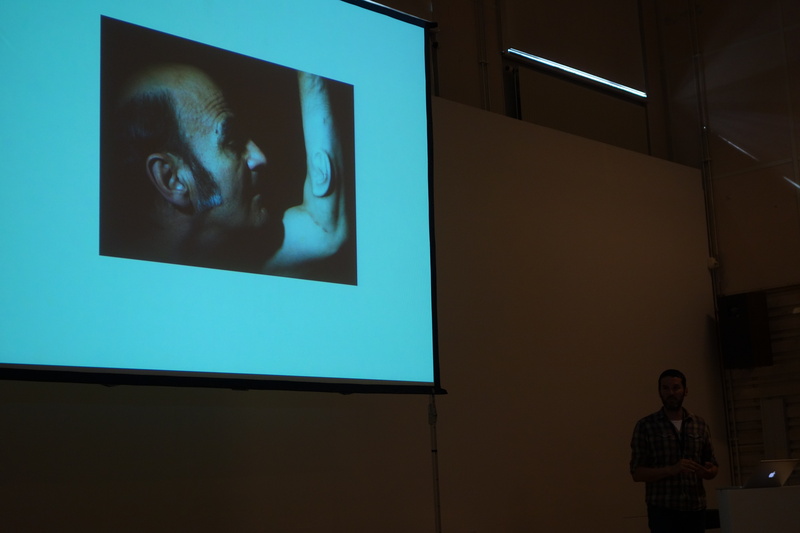 Design education tents to be human centered approach, but what about life-centred approach? And if is not open to researchers, industry will develop their ways of doing stuff… Whom would you trust the least? the corporation, the terrorists or the teenagers ? Ethics is about power ! but is ethics not good for creativity? knowing too much on law makes people less creative ? Clive Dilnot presented against the motion. 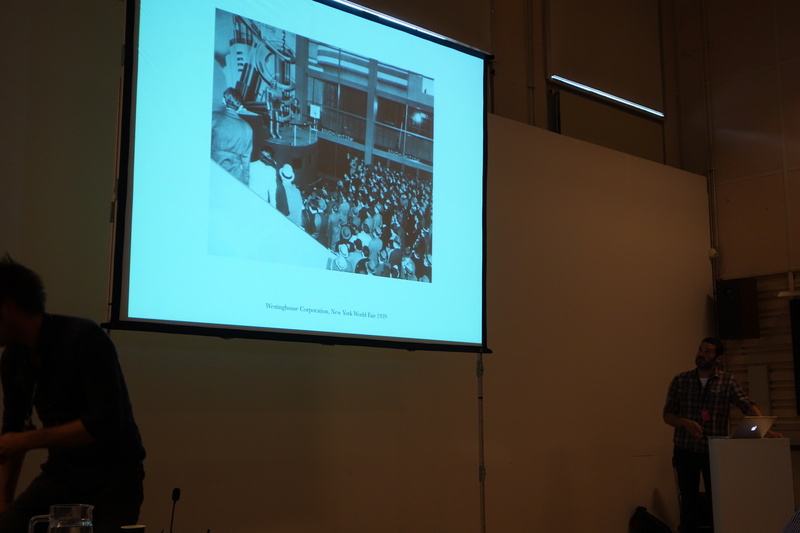 He explained how design become a discipline as a necessity to industrialization and thus design is a historical phenomena and it can not be thought outside a historical perspective. what is the specific meaning ? Therefore design is radically limited by its origins and since industry is no longer formative as society as a whole, we are entering a post-industrial age. If design is born from industries and industry is no longer formative of society as a whole, is then design part of the society at all ? A new period emerges from the industrialization and that is different from the latter. . There are three conditions that will characterize the new period: a direct relation with nature will no longer exist except through the artificial; the quality of the mediation between the living and non living things changes; certainty is dead: in the artificial there is no law that determinates the form of things: there are only chairs there is no Chair. In this context everybody is a designer and we should not keep design to ourselves. The world will looses designers and it will gain design. On the other hand, Anna Rosling-Ronnlund explaines the importance of designers to build solution for the middle world. She shows that in the future (2100) 80% of the Earth population will be in Asia and Africa and that we as designers are responsable to design cheap and useful solution. For a person that got a little bit rich from poverty and would like to buy a car or a washing machine and she can’t do that a big rage and frustration might arrive. Therefore this population needs to be taken into account if not there will be a big clash. Conclusion and food for thought: Public reaction from a designer from Chile: “we do not need your ideas and money, we are creative and we design with punch!”. The solution for sustainability in these countries will come from the inside (from the middle class of the developing countries). Why does occidental people have to try to “save the world”? It could be the opposite, the growing middle class might show the occidental world how to do less with less (sustainability). On a more theoretical level, the theory of making is conducted by technology. But this period is over and we have the possibility of rethinking making in which technology is only one part. Design is finally becoming adult and separated from the industry it can evolve. > Prototyping design fiction (conversation) >> Speculative design. Crafting the speculation James Auger, Sara Ilstedt, Eva Knutz, Thomas Markussen, Josefin Wangel talking about developing knowledge on possible futures and less applying in habitats. It is about technological plausibility from scientific world that is brought to people. But what is a good design fiction project? What is the difference between critical, fictional and speculative design ? 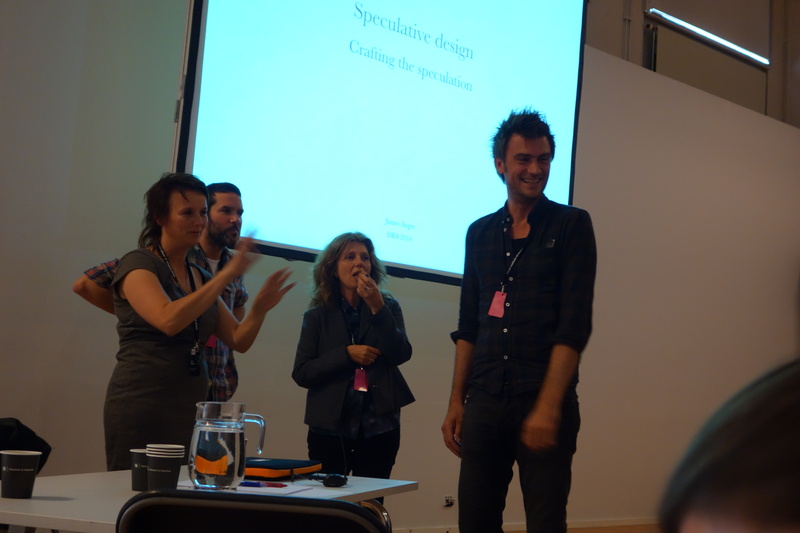 > Bombs away: visual thinking and students’ engagement in design studio contexts (paper) Marianella Chamorrokoc, Andrew Scott, Gretchen Coombs talking about a new pedagogical concept for young design students. Concept Bombs are 20 minutes design tasks focusing on rapid development of design tasks and free-hand sketching combined with immediate feedback and discussion. This short task could be deployed during projects in different phases. It brings a new dynamics to students and to projects. This paper also underlines the importance of social learning environments. > Locating the emerging design identity of students through visual and textual reflection (paper) Colin Gray is presenting how reflective activities have the potential to encourage students to develop critical skills and awareness of metal models. By drawing the learning experience of becoming a designer (when one is not a designer but an engineer, philosopher, …) is represent the holistic experience from a personal perspective. Thus students externalized their transformation as designers, including an awareness of social, pedagogical, cultural factors shaping them in a growing sense of their personal and professional design identity.